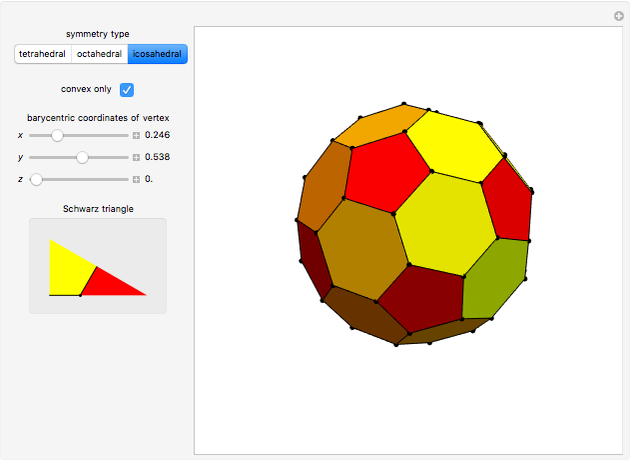 Various uniform polyhedra, including all the Platonic and Archimedean solids, can be generated by a Wythoff construction. 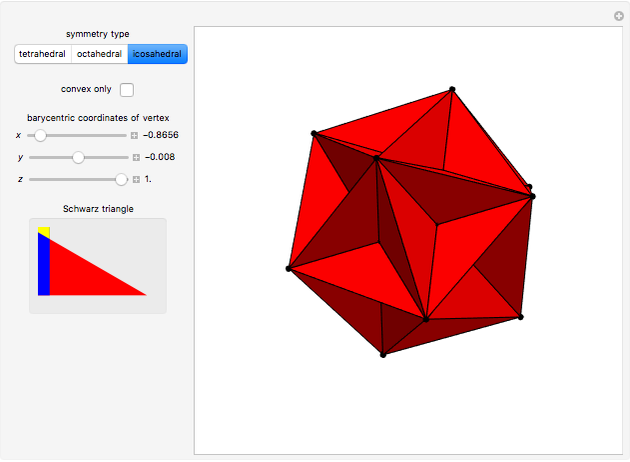 Begin with a spherical triangle (called a Schwarz triangle) and place a single vertex inside it. Drop perpendiculars to each of the three sides of the triangle and color the regions red, blue, and yellow. Reflect the triangle in each of the three sides until the entire sphere is covered. 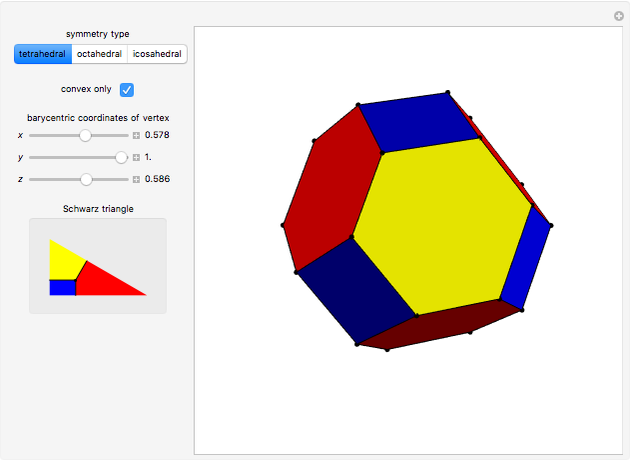 author "Wythoff Construction of Polyhedra"